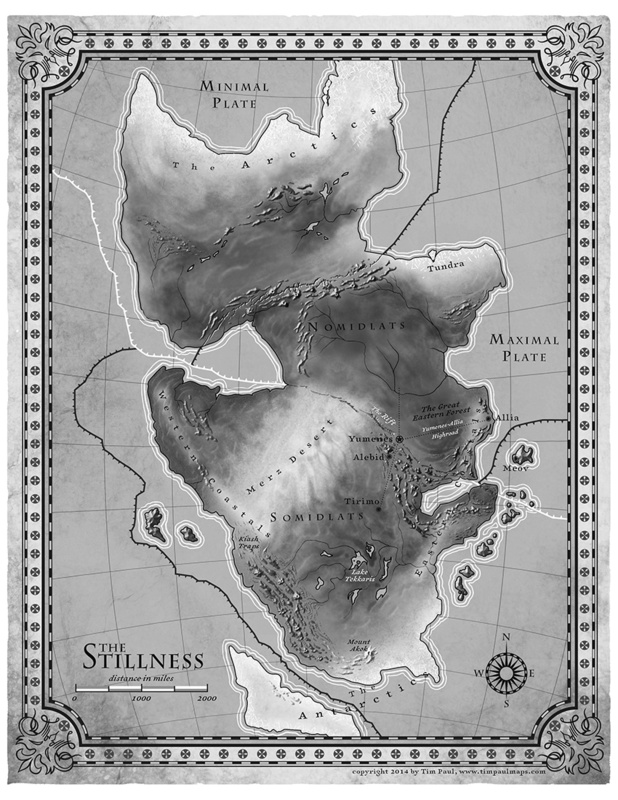 N. K. Jemisin talks about the map that accompanies her new fantasy novel, The Fifth Season. Uncharacteristically for a fantasy map, but appropriately for the novel, it indicates tectonic plate boundaries. Also uncharacteristic is its use of shaded relief to indicate mountains. The map was executed by Tim Paul, whose portfolio is here. Jake Hayes is collecting maps from children’s fiction on Pinterest. At The Funambulist last January, Léopold Lambert discussed the use of cartography in François Schuiten and Benoit Peeters’s 2004 graphic novel The Invisible Frontier (Vol. 1, Vol. 2). As Fabrice Leroy exposes in “The Representation of Politics and the Politics of Representation in Schuiten and Peeters’s La Frontière Invisible,” (History and Politics in French-Language Comics, Jackson: The University of Mississippi Press, 2008, 117-136), two cartographic paradigms oppose each other throughout Schuiten and Peeters’ novel. The first one is carried by an old man, Monsieur Paul, who is committed to make maps that reflects on the historic conditions of a place, both at an individual empirical level and at a collective (inter)national one. This interpretation of the map is particularly illustrated in the first part of the story with the delicate care of each body interacting empirically with the model/terrain. The second one is also embodied by a character, Ismail Djunov, who undertook to automatize the process of map-making through monumental machines aiming at an objective cartography. Something else for me to track down. The Invisible Frontier seems to be out of print.